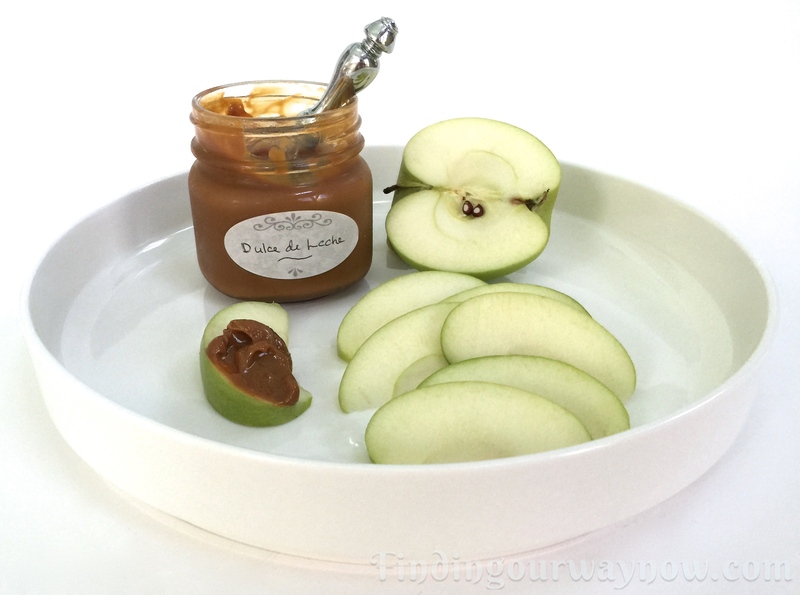 This Crockpot Dulce de Leche is a decadent spread that’s hard to resist when it’s around. It never lasts long when we make it. 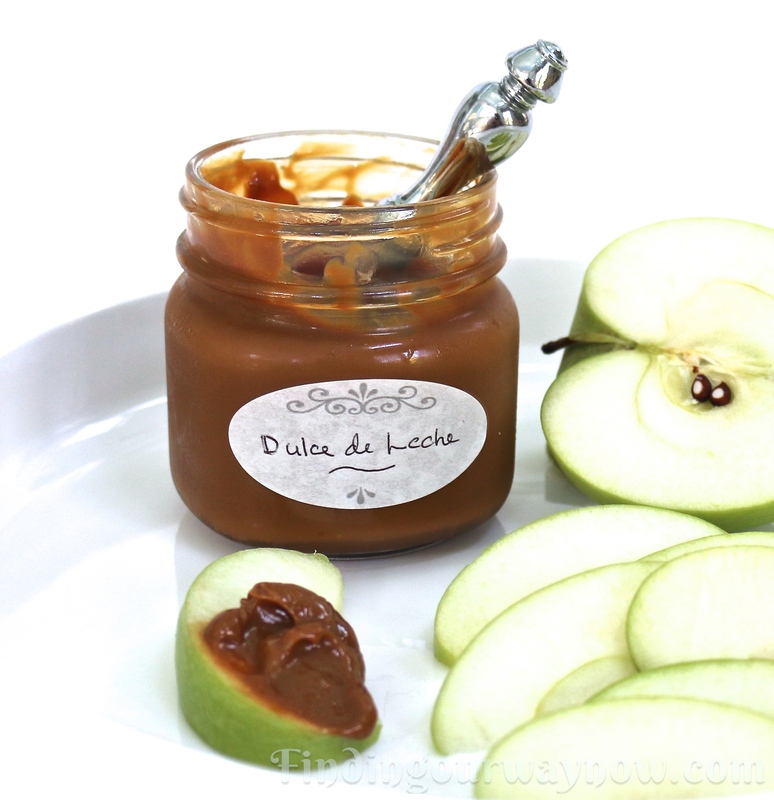 There are many ways to make Dulce de Leche. You can boil a can of sweetened condensed milk covered in water for a few hours or there’s the option of baking it in the oven for a few hours. Then there’s my favorite way – cooking a few jars covered in water in a crockpot. It’s a “set it and forget it” method for a few hours and it’s done. I like to add a bit of sea salt on top at the end to heighten the flavor. 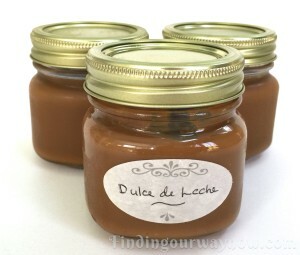 The best part about this recipe is it’s ready to use right from the jars, and it’s a great gift for your friends who adore Dulce de Leche. 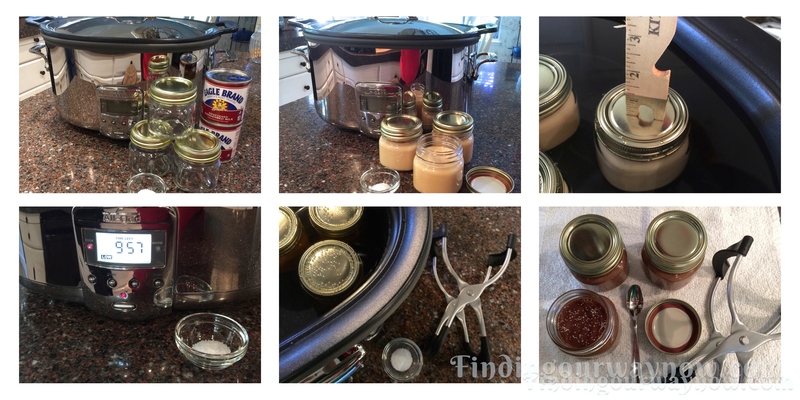 Using a canning funnel, pour the sweetened condensed milk into the 3 canning jars, screw on the lid and ring and tighten. Place the jars into the crockpot. Add hot tap water, enough to cover the tops of the jars with 1″ of water. Slow cook on low for 10-11 hours. At the 10 hour mark, use a set of lifting tongs to remove a jar to see if the sweetened condensed milk has caramelized to your liking. If not, continue to slow cook the jars for an additional hour or until it reaches the desired color and consistency. Using a set of lifting tongs, remove the jars from the slow cooker and place on a dish towel to cool. Gently remove the lid and sprinkle a bit of coarse sea salt on top. Wipe off any excess water that may have accumulated on lid and jar rings and replace the lids. When the sauce has cooled, move the jars to the refrigerator for up to 1 month. When you’re ready to use it, warm a jar in a bowl of hot water or heat it gently in the microwave. Notes: It’s a good idea to check to make sure your jars fit in your crockpot to see if it allows for a 1″ of headspace above the top of the jars. If you’re using a large slow cooker as I do, you can easily double the recipe. Remember, the longer you cook this the darker and thicker it will get. This Crockpot Dulce de Leche has many uses. It’s delightful in your coffee or tea or spread on toast or scones. 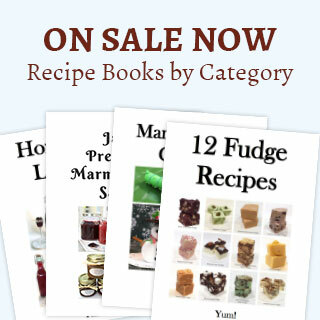 It’s delicious heated and drizzled on ice cream, pancakes or waffles. Last but not least it’s an awesome spread on slices of apple. The other part that sings to me is it makes great gifts from the kitchen without much muss and fuss. 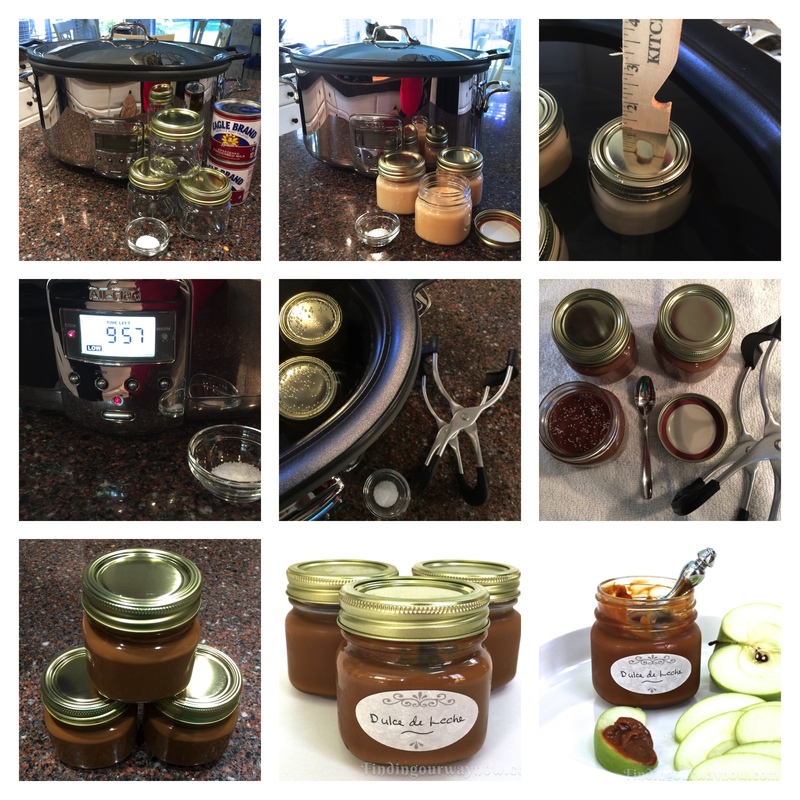 If you enjoyed my “Crockpot Dulce de Leche,” check out my Fresh Fig Jam, Make Ahead Freezer Biscuits, and my awesome Not Fail Hollandaise Sauce. Enjoy.